Sentinel Concepts is committed to bringing our students the most current and relevant firearms training based on their personal needs. No two classes will have the same curriculum, as each class will be based on the students and their training goals in each class. Individual students’ goals, abilities, and skills will be the basis for each class’ instruction. Each drill and exercise will build a solid surface for each student to develop a plan for their personal practice sessions and will enable them to diagnose their own mistakes, craft more efficient shooters, and effective weapon manipulator after the class and for years to come, by using proven and current techniques. Steve Fisher has been the owner/lead instructor for Sentinel Concepts since 2014. He also is a contract instructor for numerous ranges in Michigan and has been a staff instructor for EAG Tactical. 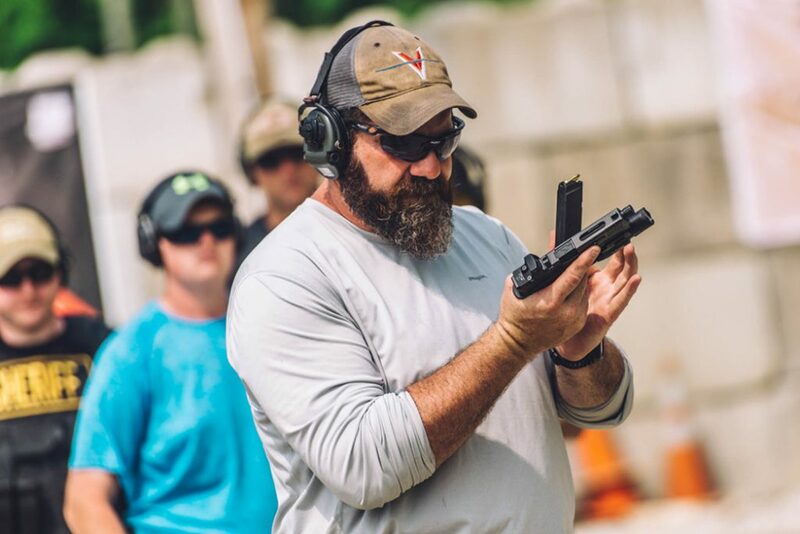 Steve’s career as a trainer started in the 90’s, first at NTFT and then later as the owner/ lead trainer of MDFI, both Michigan-based companies, and served as one of the primary Instructors for Magpul Dynamics. He was responsible for the development of new programs and tactics for several local police departments and new training curriculum’s based on low light, home defense and the use of the carbine, handgun, and shotgun in various roles. Steve has been featured in SWAT Magazine, Recoil Magazine, Breach-Bang-Clear, and has written for both SWAT Magazine and Surefire Combat Tactics. He is a product designer for Tuff Products and provides product development insight for companies like Nighthawk Customs, Midwest Industries, FN, Trijicon, Agency Arms, Surefire and Robar to name a few. Over the years Steve has participated in numerous training programs from notable instructors in the industry as well as many local level schools and stays active on both sides of the training industry. He is also an avid hunter and has a history in the outdoor/hunting television community as both a hunter and cameraman.